The endowment of an orchestral chair can be a very satisfying way to support an orchestra. 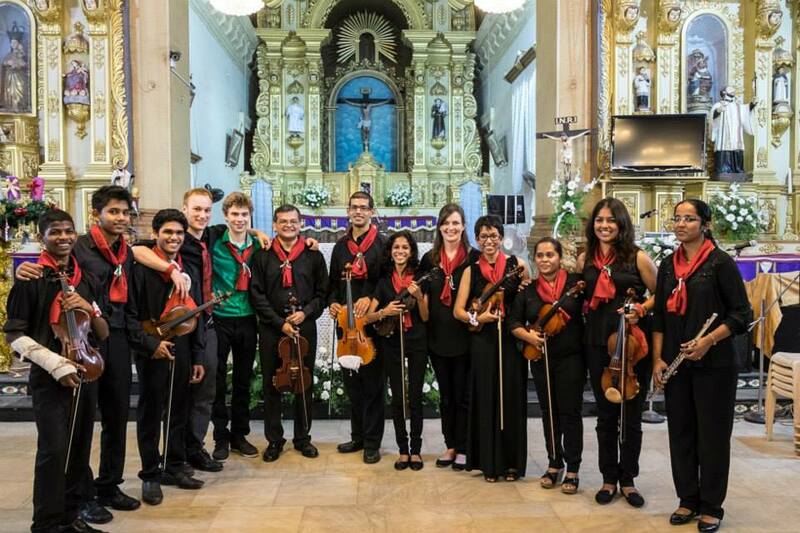 Because Child’s Play India offers more than just an orchestra for young musicians, our Orchestral Chairs will also function as our teachers, in addition to playing with Camerata Child’s Play India and working with our teachers-in-training. By supporting one or more Chairs, you help us build a nation of young musicians, seek out talent and give underprivileged children a good shot out of poverty. Chairs may be endowed for a year or more. A Principal Chair may be named for the donor(s). An individual, a business house or organisation may have a Chair named after themselves. For example, “The XYZ Corporation Chair” or “The John and Maria D’Souza Chair”. You could also choose to be listed as an Anonymous Donor. Chairs could also be named in honour of someone else. For example, this could be in memory of a family member. The donors name will appear on concert programmes, on our website and in other publicity material, unless expressly requested otherwise. We also welcome contributions towards Camerata Child’s Play, our orchestra made of local and visiting musicians. We welcome sponsors who could help us with rehearsal and concert costs.